The holiday season is officially on, and we want to celebrate it with you! That's why starting this week, and for the whole month of December, Kodansha Comics will be introducing new digital-first titles every other Tuesday! To keep up with the new title announcement, stay tuned our Twitter account (@KodanshaUSA), or check back on this page on 12/5, 12/19, and 12/26. We'll give you the first look of the new series, plus first dibs on the deals too! The protagonist of Inuyashiki is not a hot guy or girl. Ichiro Inuyashiki is 58 years old and often gets mistaken for his daughter’s grandfather. One day he encounters an unidentified flying object. His body destroyed, he awakens to realize he has a new mechanical body. That’s when Inuyashiki’s journey to find the meaning of life—by saving other people’s lives—begins. 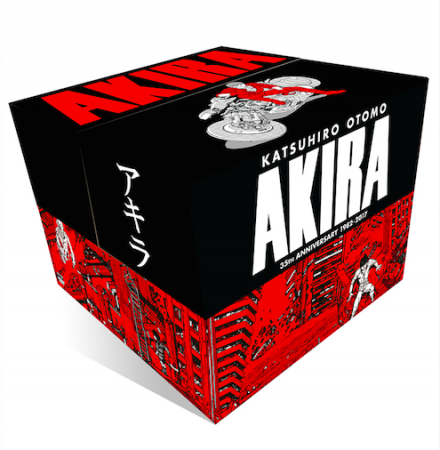 On Tuesday, October 31, the Akira 35th Anniversary Box Set was loosed upon the world. We’ve been thrilled to see how many people have enjoyed the set since its release, in online reviews, videos, social media posts, and more. However, we have also heard from some of you who received boxes that had been damaged in shipping. We apologize to anyone who received the box damaged. We want every reader to have the best possible experience with this set for years to come, and that doesn’t include letting a torn or dented box sit on your shelf. Enter Kodansha Comics and Wacom’s UQ HOLDER! Drawing Contest for a chance to win a Wacom digital drawing tablet and UQ HOLDER! manga! Get your pens, pencils, or drawing tablets ready—to celebrate the debut of the UQ HOLDER! anime, Kodansha Comics is teaming up with Wacom for a special drawing giveaway contest! Long time no stream, KC Anime Clubbers! The fall anime season has kicked off in full swing, and this season offers a stellar line up of Kodansha Comics manga-turned-anime. To celebrate, this season’s KC Anime Club we’ll be live streaming not one, but three awesome titles! Kodansha Comics Holiday 2017 manga box sets! 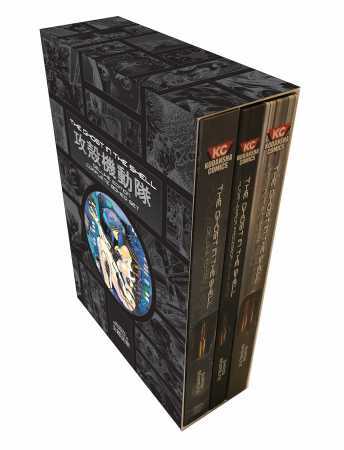 The original manga that became a legendary anime franchise, now in a complete collector’s box set.